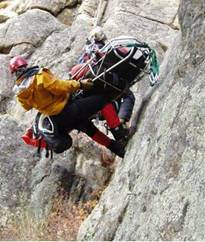 "To Those in the Field"
WILDERNESS MEDICAL ASSOCIATESÂ® certification is awarded for all wilderness and rescue medicine courses. Wilderness & Rescue Medicine Courses are eligible for college credit through the Western State College of Colorado Extended Studies Program. Offshore Emergency Medicine is certified by the Ocean Navigator School of Seamanship.